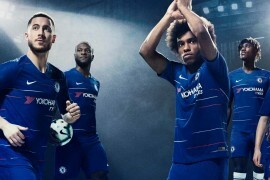 Following hot on the heels of the new Barca Home Shirt, is this rather eye-catching new away shirt for the Camp Nou club! Presenting, the Barcelona Away Shirt 2012-13! As the new home shirt is designed to represent the fusion of old and new that goes on in every game at Barca, it’s only fitting that Nike have designed the Barcelona Away Shirt 2012-13 in the same way. 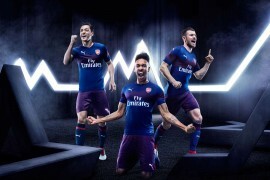 Rather than the somewhat convoluted message behind the home kit, the new away kit is an explosion of bright colour to celebrate the club’s effervescent style of play. 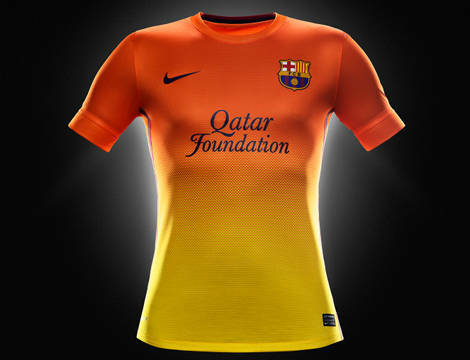 The Barcelona Away Shirt 2012-13 fuses orange into yellow on the body paying homage to the city’s mixture of culture, art, style and architecture. The shirt has a classic orange crew neck ribbed collar with the famous Blaugrana detail on the back of the neck and orange sleeves. The outer back detail on the shirt is Catalan’s Senyera flag, whilst the inner neck graphic reads, ‘Més que un club’ (More than a club). 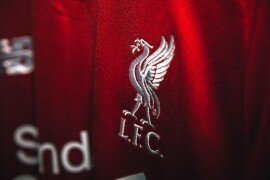 The font used on the kit is inspired by Catalan architecture. 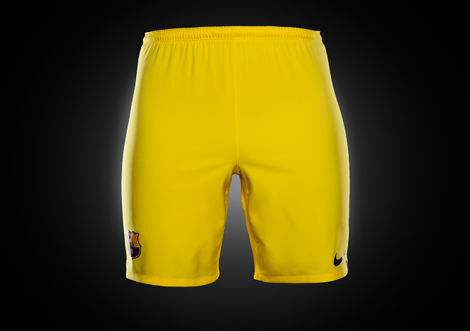 The yellow shorts have the Blaugrana detail along the side seam and ‘Barca’ on the back of the waistband. 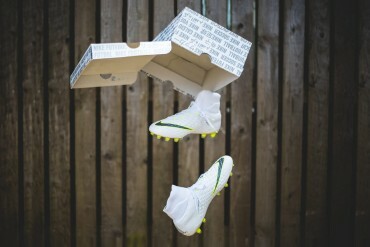 The yellow socks also have the Blaugrana detail on the top and the ‘Barca’ detail on the back. The Barcelona Away Kit 2012 / 2013 joins their Euro 2012 collection in being made from Nike’s ground-breaking recycled polyester, making them Nike’s most environmentally friendly kit ever produced. An innovative manufacturing process reduces energy consumption by up to 30% compared to manufacturing traditional polyester. 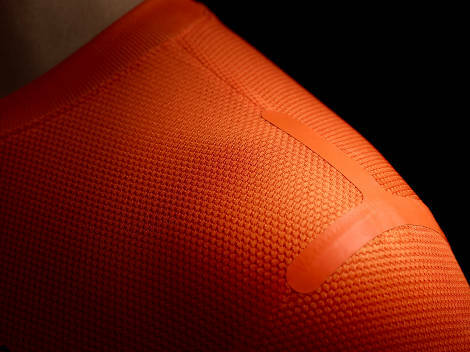 Since 2010 Nike has used an estimated 115 million recycled plastic bottles to create its high performance kits. 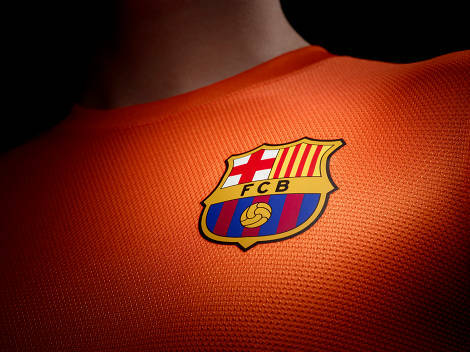 What do you think of the new Barca Away Shirt 2012/13? 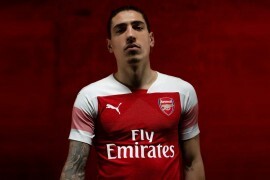 Liking the Home shirt much more, not feeling this one..
Uve gotta be good wearing this……..